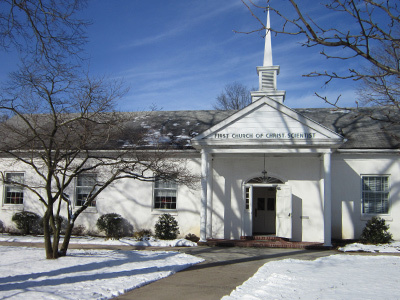 Sunday School at the Phoenixville church offers a nurturing learning environment where children become grounded in Christianity through study of The Bible and Science and Health with Key to the Scriptures, written by the discoverer and founder of Christian Science, Mary Baker Eddy. Early lessons center around the Ten Commandments, the Lord’s Prayer, the Sermon on the Mount and Bible stories. Building on this foundation, students expand their understanding of the nature of God and one’s rock-solid, unbreakable relationship to Him. The Christian Science Bible Lesson, fresh each week, provides an ongoing framework for teaching young people how to live Christian Science, and how to heal. Students learn how to pray to peacefully and effectively solve problems they may be facing in their lives – difficulties at school, relationship issues with family or friends, and illness or injury. 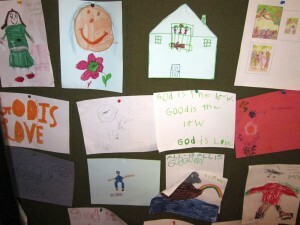 The best thing children learn in a Christian Science Sunday School is that God loves them, and that no challenge they could ever face is beyond God’s healing power. All young people up to age 20 are warmly welcomed into this oasis of spiritual learning.